Mary and Jean are on an ocean liner traveling to Australia when disaster strikes: the boat is about to sink! Concerned about the babies on board the ship, the two girls collect them all in a lifeboat, which is then set loose in the ocean with only the children aboard. The girls and their four baby charges end up on a desert island, where they immediately set up camp, search for food, and begin to care for the babies as best they can. As the book progresses, they also meet a monkey and a reclusive man who inhabits the island, with whom they form friendships. 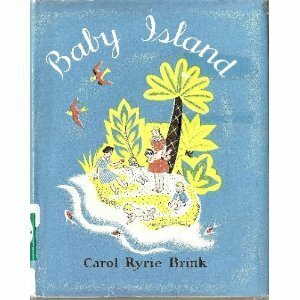 This 1937 novel by the author of Caddie Woodlawn (1935) fulfills the fantasy of every little girl who loves babies. While the descriptions of baby behavior might not be as realistic as what you'll find in the What to Expect series, they are perfectly in line with the way little girls imagine babies in their pretend play, and that is all that matters. This book is essentially one long indulgence in make believe, combining the best elements of adventure stories with the desire children have to be in charge of those younger than themselves. The illustrations by Helen Sewell are also great fun! They capture the whimsical mood of the story perfectly. My husband and I took turns reading this aloud, and our older two girls (ages 3 and 5) really loved it. It was just the right combination of unlikely adventure and wish fulfillment to keep them completely hooked. Though they might have understood it a bit more if they'd been familiar with Robinson Crusoe, their lack of understanding of who "Friday" is did not prevent them from thoroughly enjoying the book. I imagine they'll read it again on their own when they get older, but it was a great success as a read-aloud at these ages. This month, we have gone back to primarily reading chapter books aloud at mealtimes. I did kick off the month with a couple of picture books at lunch time: Rosa-Too-Little by Sue Felt Kerr, Do You Have the Time, Lydia? 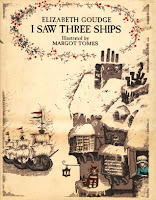 by Evaline Ness, and Septimus Bean and His Amazing Machine by Janet Quin-Harkin, during which time my husband was reading America Travels by Alice Dalgliesh, and then The Four Dolls by Rumer Godden at dinner time. Next, we took turns reading Baby Island by Carol Ryrie Brink at lunch and dinner for about a week. Now I'm reading Miss Hickory by Carolyn Sherwin Bailey at lunch, and he's reading The Moffats by Eleanor Estes at dinnertime. We also took a two-hour drive to a booksale and listened to the entirety of The Borrowers audiobook together on the ride there and back. The girls especially loved Baby Island, and they are really into The Moffats. During school time, Miss Muffet and I are reading some longer books for science, art, and history. I took out Dinosaurs: The Most Complete, Up-to-Date Encyclopedia for Dinosaur Lovers of All Ages expecting to read just a few pages, but she has fallen in love with the topic, so now we're reading a section of a chapter each day. We have learned about preparators and paleoartists, taxonomy and preservation, and now we're moving into evolution and the origin of dinosaurs. I like this book a lot because it teaches not just about dinosaurs, but about science in general, and all in terms a child with minimal knowledge can understand. We're also studying the Stone Age, and the books we've been using are Picturesque Tale of Progress: Beginnings I, They Lived Like This in The Old Stone Age by Marie Neurath, and The Golden Book of Cavemen and Prehistoric People, the last of which she selected for herself at the aforementioned book sale. She especially loved learning about cave painting, and the illustrations in these books inspired her to make her own cave art using oil pastels on a brown paper bag. For art appreciation, we're using Famous Paintings: An Introduction to Art by Alice Elizabeth Chase. We read about one painting each weekday, and we'll keep going until we finish the book. In terms of independent reading, Miss Muffet continues to be obsessed with the Adventures of Sophie Mouse series, and she has also read Whisper in the Ruins from the Chime Travelers series, as well as The Enormous Egg by Oliver Butterworth, which tied in perfectly to her budding interest in paleontology. She's also read Twig by Elizabeth Orton Jones, Beezus and Ramona, Eddie's Green Thumb by Carolyn Haywood, and My Visit to the Dinosaurs by Aliki. Her current read is Boxcar Children #10, The Schoolhouse Mystery. She is also still requesting to hear the same audiobooks again and again: Muggie Maggie, Mitch & Amy, and The Year of Billy Miller. This child continues to go through piles of books at a time. She still loves anything illustrated by "Ellowee Wilkin," and she chose a prayer book by her to bring home from a recent book sale. She has also been attached to The Three Bears by Byron Barton, The Sibley Field Guide to Birds of Eastern North America, Mockingbird by Janet and Allen Ahlberg, and the newly published The Whole Wide World and Me by Toni Yuly. She also really loved both Rosa-Too-Little and Baby Island when we read them aloud. Bo Peep does tend to be very particular about her books, and she spends a lot of time flipping through books only to say she's not interested in them because they lack something she feels is important, such as illustrations of babies. She sometimes listens in when we read about dinosaurs and cavemen, but typically she prefers to spend school time looking at books on her own. This little girl is finally walking, so now she can often be found lugging around a huge picture book as she tries to keep her balance. She is also really into word books, which prompted my mom to send us a few board books of that type published by DK that she had hanging around her house from when the older two girls were this age. Jumping Joan is fascinated by the photographs, especially of animals, and she spends a lot of time pointing at different items and saying, "Whaddat?" She really likes bears, too, and became instantly attached to another of our book sale finds, Love Songs of the Little Bear by Margaret Wise Brown, illustrated by Susan Jeffers. She's really rough on books if she is left to her own devices, so we have to be kind of protective of our picture books, but it was so sweet to see her kissing the bear and pointing at his face on every page. She still won't sit for a read-aloud of any of these books, but I try to jump in and comment on what she's interested in whenever she has a book in hand. 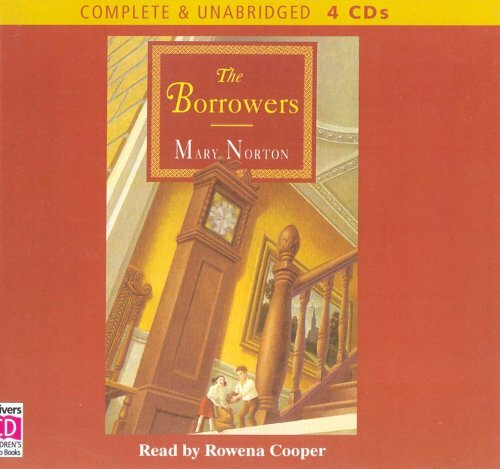 When Mrs. May is sewing with her niece, Kate, one day, she begins to tell a story about her younger brother, now deceased, and a family of very tiny people known as The Borrowers. In the story, her brother is nine years old, and he is sent to convalesce with some relatives in the country after an illness. While there, he becomes aware that a young Borrower named Arrietty Clock is living under the floor of the house with her parents, Homily and Pod. Homily and Pod are wary of Big People, and they are highly protective of Arrietty, but Arrietty and The Boy became friends anyway, leading to a dangerous situation for the Clock family, from which The Boy must try to help them escape. 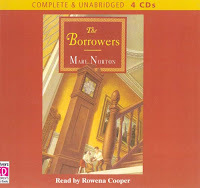 We listened to the audiobook of The Borrowers in the car on a weekend day trip, and there were times where I wasn't paying very careful attention to the story. Still, despite my mind wandering occasionally, and the fact that I would not have chosen this book on my own, I actually found myself becoming invested in the culture of the Borrowers, and in the unlikely friendship between Arrietty and her family and The Boy. I think the most impressive aspect of the book is in all the details. I love the descriptions of the Clock family's home and the mention of the fact that some of their relatives have "Parkay" floors. Also interesting are the mentions of the difficulties Pod endures when he goes out borrowing, such as "curtain-and-chair jobs" that require a lot of dangerous climbing. Norton also sets up an interesting conflict in the story when The Boy both alleviates some of these challenges and brings about a new set of problems at the same time. Though I think my 3-year-old and 5-year-old will most likely hear this book again or read it independently in the future, it was not a bad choice for their current ages. They did sleep through some of it, so I'm not sure they got a full picture of what was happening, but there was nothing in the story that was really beyond their comprehension, except maybe for the ending when Mrs. May leaves things ambiguous and open-ended for young Kate. And since there are sequels, this is unlikely to matter for long anyway. This week's chapters are "The Rogue Bludger," "The Duelling Club," "The Polyjuice Potion," and "The Very Secret Diary." Spoilers ahead. Most of my memories of this section of the book seem to be from the movie, so it was good to have a refresher of what actually happens in the book. Though I'd remembered that Harry hurt his arm and had to regrow his bones after an inept Lockhart tried to heal him, I'd totally forgotten about Dobby sending the rogue bludger after Harry in the first place. I'd also forgotten that Hermione was sent to the hospital wing because of her botched Polyjuice Potion experience prior to her becoming petrified. I also forgot that Nearly Headless Nick was petrified. My memories of the duelling club were somewhat vague, too, but the scene where Harry begins speaking Parseltongue was exactly as I remembered it. I did wonder, though, for the first time, why Snape seems so intent on pitting Draco and Harry against each other. It makes him seem cruel, which I don't think his character is meant to be, and it also just seems like a dumb move for a teacher. Then again, he has also apparently allowed the password to the Slytherin common room to be "pureblood," so I guess this is just par for the course. The other thing I realized as I was reading this is how funny Rowling can be sometimes. The scene that opens "The Rogue Bludger," where Lockhart reenacts his supposed adventures, with Harry as a partner, made me laugh out loud. I also enjoyed Ron's dialogue, and that of the Weasley twins. Overall, the biggest thing that strikes me about this book is how quickly it seems to move. I feel like my first reading of this book took a while, and I remember feeling such suspense and needing to know how things would turn out. Knowing the answers to the questions of the plot on this re-read takes away that sense of urgency and almost makes it feel like I'm just checking off expected plot points on a list as I read. That's not to say I'm not enjoying it, but it's not the immersive experience it was the first time around. I'll be finishing the book this week, and jumping right into book three as March begins. A Family of Readers is a collection of essays and short reflections by the editors and contributors of The Horn Book magazine geared toward parents who love to read and wish to raise book-loving children. 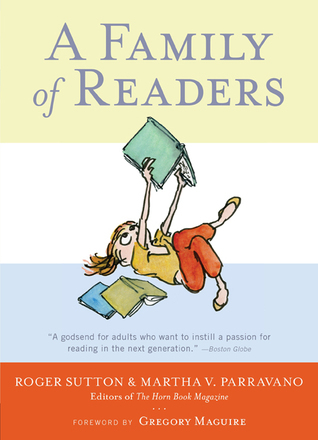 The book covers all ages from babies to teens, and it is divided into sections according to the needs of kids at different reading levels ("Reading to Them," "Reading with Them," "Reading on Their Own," and "Leaving Them Alone.") It concludes with a book list. I have heard some people describe this book as snobby, and I definitely think that is an accurate assessment. The contributors to the collection have very definite opinions of what makes a good book, and they don't seem to hesitate in naming the titles that don't meet their standards. I'm pretty snobby about children's books myself, so this didn't bother me, but parents who are big fans of The Berenstain Bears, for example, might find that some of the pieces included rub them the wrong way with their disparaging remarks about such books. While I did like the overall attitude that quality matters in children's literature, this book is not quite the definitive guide it claims to be. Many of the pieces are so short that they feel truncated, as though they are excerpts from longer pieces or quick quotations jotted down by authors who didn't have time to write longer essays. Many times, it felt like an author stopped writing just at the point that his argument became interesting. I also had some issues with the advice of the authors in the section of the book addressing teens. The idea that a parent should no longer be at all involved with their children's reading choices after a certain age strikes me as pretty irresponsible, especially since it seems like the pieces in that section really just want kids to be able read books with sexual content behind their parents' backs. What was refreshing, though, is that this book, while definitely left-leaning, did not have any of the political rhetoric that I associate with children's literature discourse in 2019. There were mentions of diversity, pieces by authors from a variety of backgrounds, and recommended books representing different cultural backgrounds, but it was all presented in a very palatable (and non-confrontational) tone that made it easier to tolerate even the viewpoints with which I vehemently disagreed. I started working as a children's librarian in late 2010, and this book came out in 2011, so many of the books mentioned are the ones that were popular in my library during my first couple of years on the job, and reading this book was a bit like reliving those months of reading. For that reason, I might have enjoyed it a bit more than I would have otherwise. For adults who are not librarians who want to understand more about the world of children's books, this isn't a bad place to start, but it's also not comprehensive enough to be the only book one reads on the subject. This past week, I read my second installment of Harry Potter and the Chamber of Secrets which covered Chapter 5 ("The Whomping Willow"), Chapter 6 ("Gilderoy Lockhart"), Chapter 7 ("Mudbloods and Murmurs"), Chapter 8 ("The Deathday Party"), and Chapter 9 ("The Writing on the Wall"). This post will contain spoilers. A lot of information about the wizarding world is crammed into these chapters. This book has the first mentions of squibs and mudbloods, the first howler (from Molly Weasley, to Ron), and it provides details about the founding of Hogwarts. 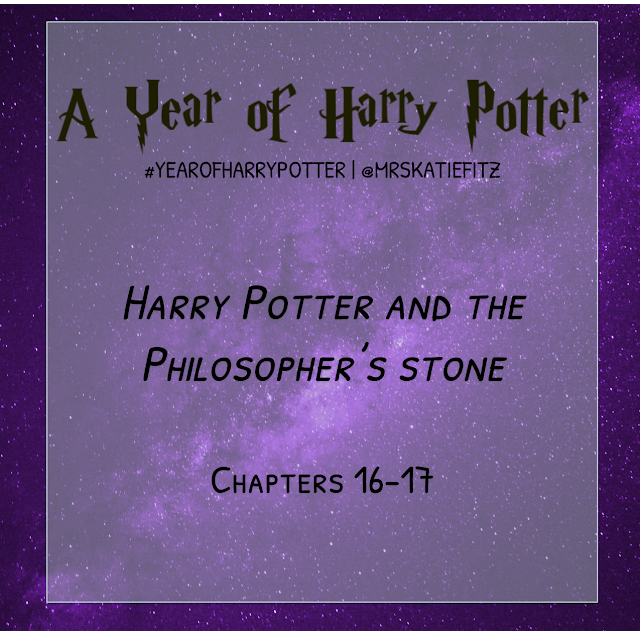 We also meet Moaning Myrtle for the first time, and Harry, Ron, and Hermione learn a bit more about ghosts at Nearly Headless Nick's deathday party. We even learn about the existence of Kwikspell courses, which Filch is taking to try and learn magic. As always, I was on the lookout for little moments that might foreshadow future events, and sure enough, I found a line in Chapter 5 that has much more meaning on a second reading. As the Weasleys and Harry are leaving the Burrow for the train station in the flying Ford Anglia, they have to turn back twice for forgotten items, and one of these is Ginny's diary. I think it's neat that there's a sense of fate to Ginny's role in the opening of the Chamber of Secrets, that if they hadn't gone back the second time, she might not have been involved at all! I was also amused that, when Harry thinks back on his experience during his Sorting the previous year, the word Rowling uses to describe his feelings is "petrified." In terms of bad behavior, Harry does seem to get off pretty easy after he and Ron crash the car into the Whomping Willow. While it does seem petty that Snape wants him to be suspended from Quidditch (a punishment that could only help his own house, Slytherin, win) it does seem like McGonagall should have done something besides have him help Lockhart with his fan mail. But, how much of a story would there be if Harry did one wrong thing and got himself expelled? Clearly, misbehavior and the way it is handled is often used to further the plot, and I think most kids can recognize the difference between that and disobedience in the real world. I'm really looking forward to the rest of this book. I remember hardly being able to put it down the first time I read it, and though I'm intentionally taking it slow this time, that feeling of anticipation about what's going to happen next is already building. When Vinnie (Lavinia) lost her father to cancer, her younger brother, Mason stopped speaking. Now Vinnie and Mason have left Washington, D.C. and, along with their mother, they have moved in with their grandmother in Brownsville, Virginia, where they are starting a new school. Though she really likes her new teacher, Vinnie struggles to fit in among her new classmates, and she finds that only Lupe, whom she nicknames the Flip-Flop Girl based on her footwear, pays any attention to her at all. As the school year gets underway, Vinnie struggles to help her brother's teachers handle his behavior, to make her teacher notice her and understand her crush on him, and to see herself as the kind of person who might be friends with an unusual girl like Lupe. 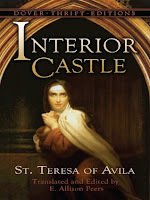 I would describe this short, descriptive novel as a cross between The Hundred Dresses and The Summer of the Swans. It shares themes in common with both of these books, and it delivers a story that addresses them succinctly, clearly, and with beautiful prose. While this book isn't as deep or layered as something like Lyddie or Bridge to Terabithia, it does reflect upon issues of grief and loss in ways that are very palatable and accessible for kids. This book isn't heart-wrenching, as the death itself has already taken place when the book begins, but instead it focuses on moving forward after the initial shock of loss has worn off, and it gives the reader a sense of hope that things will improve as time goes on. When I mentioned to my husband that I rated Flip-Flop Girl four stars on Goodreads, he remarked that he couldn't imagine Paterson writing a book that wouldn't get four or five stars, and I tend to agree with that statement. Paterson's writing is consistently of very high quality, and she tells stories that are real, believable, and relevant. Having read her astute observations about writing children's books in Gates of Excellence and The Spying Heart, I am pleased that her fiction, so far, very much lives up to my high expectations. I'm re-reading the Harry Potter series this year, and I'm really enjoying reliving the early days of friendship between these two. It will be fun to watch them find their way to each other all over again. This was my favorite book when I was a teenager, and I still re-read it every so often. I can't make a list of favorite couples and not include the stars of my favorite romance novel! from the Chief Inspector Armand Gamache series by Louise PennyI have read seven books of this series (up through A Trick of the Light) so maybe this changes later and I don't know it yet, but so far, the Chief and his wife seem to have a lovely, affectionate, and strong marriage. I always feel a sense of relief on behalf of Armand whenever his wife appears on the scene. from All Creatures Great and Small (and sequels) by James HerriotThe relationship between these fictionalized versions of the author (whose real name is James Alfred Wight) and his wife (whose real name is Joan Catherine Anderson) is one of my favorite things about these memoir-esque books. The way the vet business interferes with their courtship and strengthens their marriage is both amusing and inspirational. Most YA couples tend to blur together in my mind, but Jenny Han's talent for creating believablecharacters really brings these two to life. I didn't always agree with their decisions in the books, but I always rooted for them. This old-fashioned romance novel was one of my favorites as a young teen. I love how wholesome and sweet it is, and I found Jean to be a kindred spirit. I love the realism of the way these two become romantically involved. At first, Carney thinks he looks like a "baby hippo," and frankly, only an author like Lovelace could turn a guy like that into a romantic hero. As with Jean and Johnny, I also love all the old-fashioned details about dating etiquette in this book. 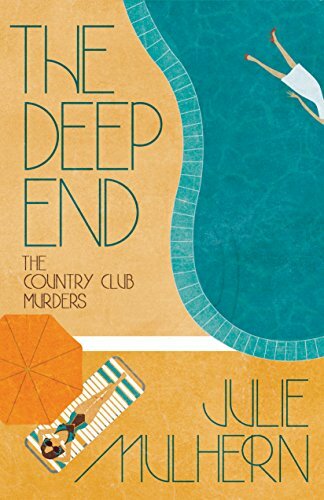 This is another series where I'm not caught up, but I do love the on-again/off-again relationship between the forensic anthropologist and the police officer. They're currently off-again where I am in the series, but I live in hope that it's not over for good. Despite the ridiculousness of his name, and his disapproval of Ellison putting herself in danger to solve crimes, I really do think these two belong together, and I enjoy reading about the ups and downs of their potential romance. I always loved the very proper relationship between amateur detective and newspaperman, Qwill, and library director Polly. Especially endearing is the formal, but sweet way they say "À bientôt" each time they end a phone call. 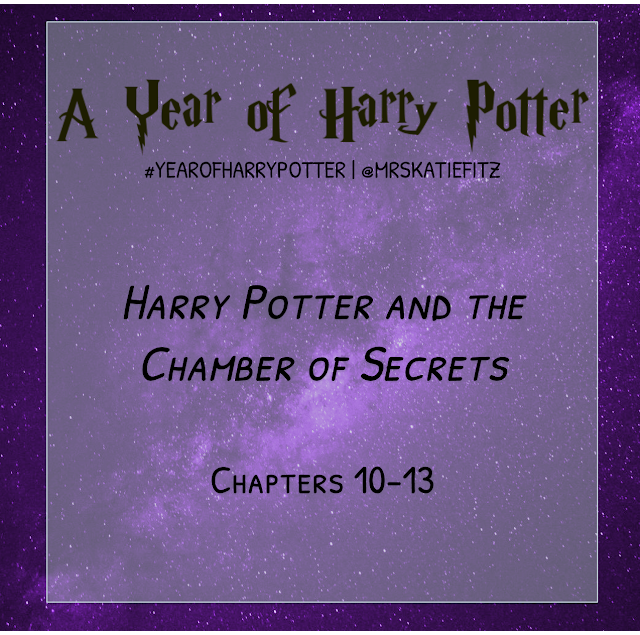 Last week, I read the first four chapters of Harry Potter and the Chamber of Secrets: "The Worst Birthday," "Dobby's Warning," "The Burrow," and "At Flourish and Blotts." Spoilers for all of these may appear in my comments. I was amused in the first chapter to be given a recap of the events of the previous book, something that isn't that common in children's series anymore, but which was a standard part of every Baby-sitters Club book I read as a kid. 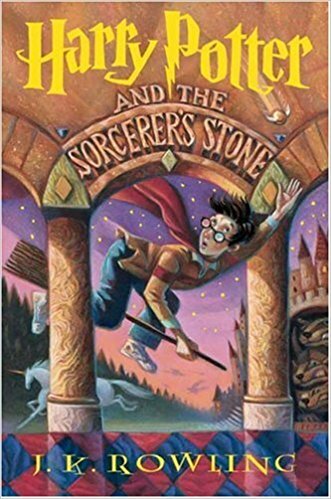 Of course, now that Harry Potter is such a phenomenon, it seems pretty unlikely that any reader coming into book two doesn't know the basics of his life story, but the recap gave me some feelings of nostalgia for the books of my childhood. Chapter 2 brings us the first appearance of Dobby the house-elf, and the line from the movie adaptation that I repeat the most often: "Harry Potter must not go back to Hogwarts." My husband pointed out to me that Dobby is basically the Jar-Jar Binks of the Harry Potter universe, and somehow I can't look at the character the same way after considering that comparison. Still, I think Dobby's arrival is a great way to raise a lot of questions and stir up suspense - and magic - early in the story. It was also lovely to revisit the chapter where Harry comes to the Burrow for the first time. I love everything about it - the banter among the family members, Arthur Weasley's obsession with all things Muggle, Ginny's crush on Harry, and Harry's complete love and appreciation for Ron's home and family, even though Ron is somewhat embarrassed of it all. I'd also forgotten Percy's role in the series, and there are hints even this early on about the mistakes he will make in future books. Finally, J.K. Rowling does a great job describing Gilderoy Lockhart and the way his fans react to him. Like Dolores Umbridge, he is one of the characters from this series that I love to hate. Mercedes (Merci) Suárez lives in Las Casitas with her parents and older brother, Roli, her Tia Ines, her five-year-old twin cousins, and her grandparents. She attends a private school on scholarship, making her something of an outsider with her peers, a problem which is compounded when Merci is assigned to be the buddy of a new boy on whom her rival, Edna Santos, has a crush. At home, Merci is also struggling to understand the behavior of her grandfather, Lolo, who has begun to behave strangely as his Alzheimer's disease progresses. As her situations at home and school come to a head, Merci will need to learn to adapt to change, a lesson she finds difficult to embrace. I have to admit to being surprised that this book was awarded the Newbery Medal. While it's a perfectly fine story, there is very little about the straightforward writing style or predictable plot that I would call distinctive. 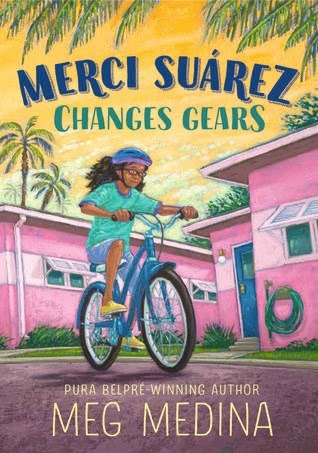 The only thing that really sets it apart is that it's a diverse book: Merci's family is not white, they speak Spanish, and they have a living situation (three houses side by side) that isn't common in the predominant American culture. Therefore, my guess is that this book was given this award based more on its championing of diversity than on its merits as a work of literature. While I understand that diversity is now considered by many to be an indicator of quality, I don't really buy into that idea, so I was disappointed not to find something new and fresh in the style or characterization in this book that stood out as special. While I don't like seeing the awards go to political books, I also don't like seeing them go to mediocre books for political reasons, and it seems like that might be what happened here. Had this book not been the Newbery winner, I am fairly certain I would have judged it less harshly. 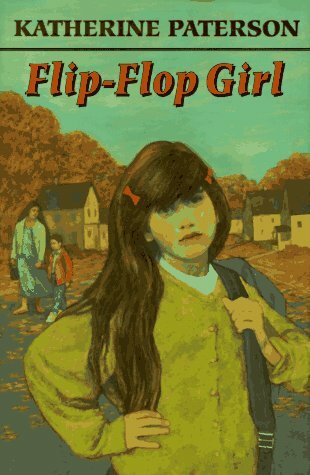 It truly is a solid novel, despite the cliched dementia storyline involving Merci's grandfather, and the cliched mean behavior of middle school girls. 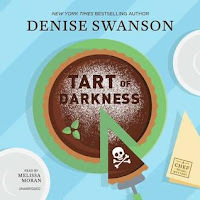 Though the storyline is not that original, it is presented in an appealing way, and I know I would have enjoyed this book when I was in sixth grade. I also enjoyed the inclusion of Spanish phrases, none of which were translated in the text (something that can often be done awkwardly), but all of which I figured out either based on the little Spanish I remember from high school or just based on context. Merci and her brother Roli also have a very positive relationship despite the gap in their ages, and it was nice to see them getting along and supporting each other. Still, the more I look for those hallmarks of distinction, the more flaws I notice instead: the bike metaphor that doesn't quite work, the lack of a meaningful connection between the grandfather storyline and the friendship storyline, the unresolved tension surrounding Merci's decision to lie about her grandfather taking a fall, etc. Thematically, this may be the book many readers have been looking for, but in terms of literary merit, it's a good book, but not a great one. While I think there is a definite place for it on the shelves of libraries serving middle schoolers this year and next, I don't see as clear a place for it in the canon of children's literature in the long-term. Carter Jones feels very deeply the loss of his younger brother, Currier, who died after an illness two years ago, as well as the absence of his father, an army captain who has seemed distant from the family for some time. When Carter's grandfather (whom he and his sisters never knew) passes away and essentially leaves his butler, August Paul Bowles-Fitzgerald, to the family, Carter is at first totally perplexed. As Mr. Bowles-Fitzgerald steps into his new role in the household, however, he begins teaching Carter new things: how to play cricket, how to think critically, how to be a gentleman, how to pay attention, and above all, how to move forward in the absence of those he has loved and lost. In the early parts of this novel, I wasn't quite sure what to make of the whole thing. It felt a bit like someone had stuck Jeeves into a children's book, and I didn't understand what the point of such a story might be. At first, it just didn't seem like this book would have the same depth of emotion and strong character development that I've so enjoyed in Schmidt's other novels set in this universe, The Wednesday Wars and Okay For Now. But I should have known better than to underestimate this author. This book is not just funny (though there is a fair amount of humor), nor is it simply a sport novels (though cricket and American football both figure into the plot). 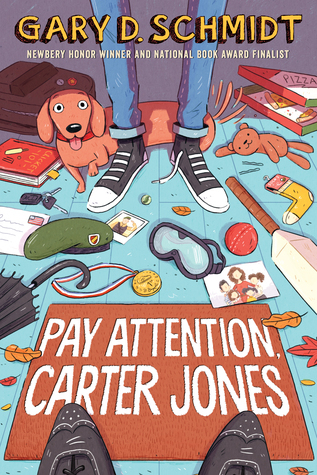 Rather, this book uses the humorous dialogue between Carter and the butler and the development of a cricket program at Carter's middle school as vehicles for helping Carter come to terms with what is happening in his life. Schmidt reveals the complicated emotions Carter has about his brother and father in waves, over many chapters, so for a while, it is difficult to see where things are heading. When it comes, though, the payoff is huge. Many books will manipulate a reader into crying; this is the rare novel that genuinely moves the reader to tears. This week, I read chapters 16 ("Through the Trapdoor") and 17 ("The Man with Two Faces") of Harry Potter and the Philosopher's Stone, bringing me to the end of book one. There are spoilers for the end of the book in this post. The first thing that caught my attention is the fact that the entire adventure of sneaking past Fluffy, escaping the Devil's Snare, and winning the chess game only really takes one chapter. In my memory, it seemed like it took half the book. I don't necessarily think it needed to take longer, since it's still exciting and suspenseful the way it's written, but it did surprise me that something I remembered as being so important was such a small piece of the story. I also have to admit that, for the first time, I found Dumbledore's award of last-minute house points to Gryffindor for the actions of the trio and Neville to be kind of obnoxious. Clearly, they acted heroically, but I think I would have liked it better if they just felt good about what they did without being rewarded so publicly (and after the Great Hall had already been decorated to celebrate Slytherin.) Before it was pointed out to me that Harry gets away with a lot of things in these books without appropriate consequences, I never had anything but a positive reaction to this scene. With that notion in mind, however, it does feel a bit like there aren't really any rules. Dumbledore can always just do what he likes when it comes to Harry. I think there is a lot more of that in the series as a whole than I can even remember right now. I'll have to pay close attention as I read this year. So far, I'm enjoying having this series as a constant companion week by week. For the next four weeks, I'll be re-reading Harry Potter and the Chamber of Secrets, and next week's post will focus on chapters 1-4. This month, I made an effort to read more slowly, and to avoid reading books just to inflate my Goodreads count. As a result, I had more time to actually post reviews, and I'm pleased to say that I have already published a review of every book I read in January. I read 27 books in all, and I'm starting February with just a couple of books in progress. I may need to consider reducing my Goodreads goal (currently set at 400) if I continue to read at this more leisurely pace, but I like the way things went this month, so I won't have a problem doing that if it becomes necessary. This month, I participated in Bout of Books (January 7-13), for which I finished 5 books, and Winter's Respite, which ran the whole month, so all the books I read during the month counted. I've made a lot of progress on my alphabet challenges, but that will slow down some as I start to read multiple books whose titles and authors start with letters I've already checked off. I don't expect to do this well with challenges every month! 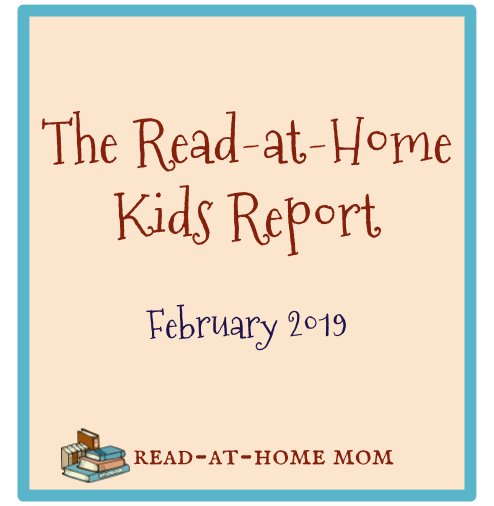 I'll be linking up this post with Feed Your Fiction Addiction for the January 2019 Wrap-Up Round-Up and with Unleashing Readers/Teach Mentor Texts and Book Date for this coming week's edition of It's Monday! What Are You Reading?